Why it’s not too late to take up exercise… even at 60! If you’ve spent a lifetime avoiding exercise, you’d be forgiven for thinking that it’s too late to start now. Not so, say researchers. They claim that those who don’t start exercising until their 60s will still see a marked improvement in their health. 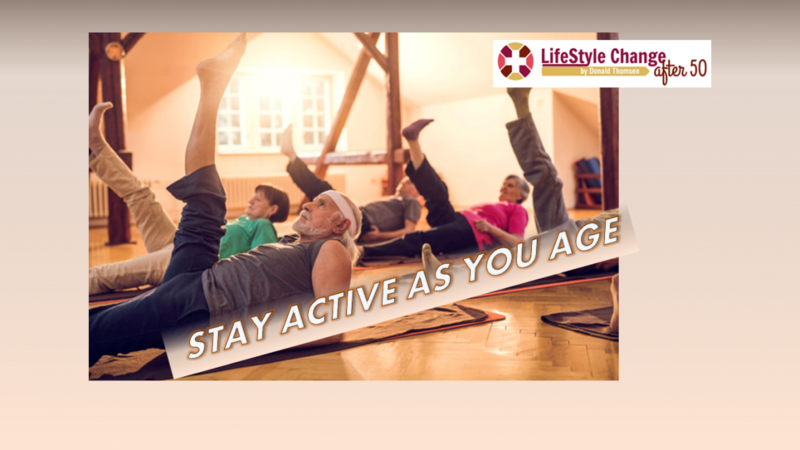 In fact, they say older people benefit more from recent activity than from exercise they did when they were young. Walking or cycling for just 20 minutes a day can reduce a 60-year-old man’s risk of heart failure by a fifth, their study found. Short spells of light exercise were actually more beneficial than long periods of vigorous activity. The findings, published in the Journal of the American College of Cardiology, suggests that it is never too late to start exercising. The team, from Stockholm’s Karolinska Institute, monitored the progress of 33,000 Swedish men from 1998 to 2012. The men, who had an average age of 60, filled out a questionnaire asking them about their exercise in the previous months. They also recalled how active they were at the age of 30. The research showed recent active behaviour had a bigger impact on heart failure risk than activity earlier in life. Men who had regularly exercised in their 30s, but were inactive at 60, were no less likely to endure heart failure than anyone else. Those who had been inactive at 30, but exercised late in life, fared far better. Walking or cycling for 20 minutes a day was associated with the biggest reduction in the risk of heart failure, which fell by 21 per cent. The authors found that those men who did the least exercise were at a 47 per cent higher risk of heart failure than average 60-year-olds. Study leader Andrea Bellavia said: ‘We found that recent activity may be more important for heart failure protection than past physical activity levels.’ Professor Naveed Sattar of Glasgow University said: ‘It is never too late to see the benefits of taking up physical exercise. But the best thing is to be active all your life. If you can find something you enjoy, and stick at it, you will see the most benefit. Experts said that the study raised important questions about whether it is possible to do too much exercise.